At the beginning of October Paul Lebeau paid me a visit. He brought the new Mockmill 200 to demonstrate. I was surprised at how quickly the berries were milled into flour. The resulting flour was so soft on the finest setting. I knew we wouldn’t have time to bake up some sourdough bread as his visit was only a few hours, so I decided to use the newly ground flour to make ups some fresh noodles to go along with the chicken veggie soup I made. It was fun having Paul visit again, last year he visited me while he was on a USA tour and we made Sesame Pita bread. 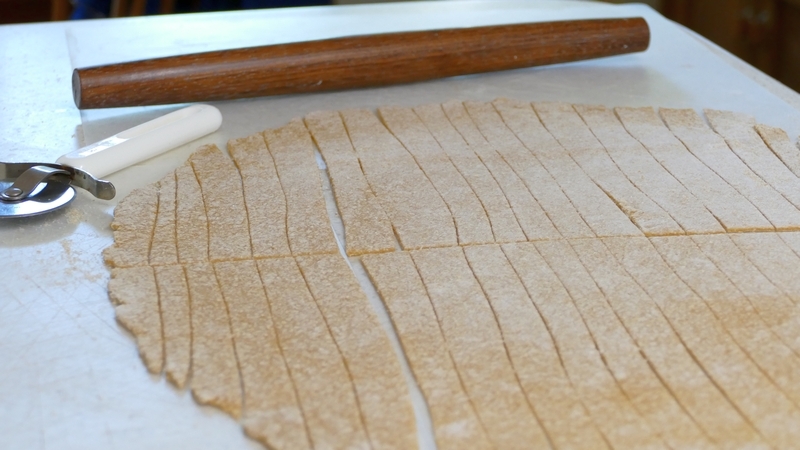 I want to add here that I used the French rolling pin (I LOVE French pins!) that a young man named Tarik sent me in the mail as a gift for allowing him to post his handmade pins on Perfect Sourdough. It is a super lovely pin and I want to give him a shout out here. Visit him on his site at: TurnedByTarik. He is giving any of my followers a 15% discount if they mention the code: BREADBAKER Think of how nice a lovely pin will look in someone’s Christmas stocking! Anyway back to the story of Paul’s visit. After the demo and talk, we had lunch consisting of home made chicken bone broth soup with veggies and freshly milled noodles. 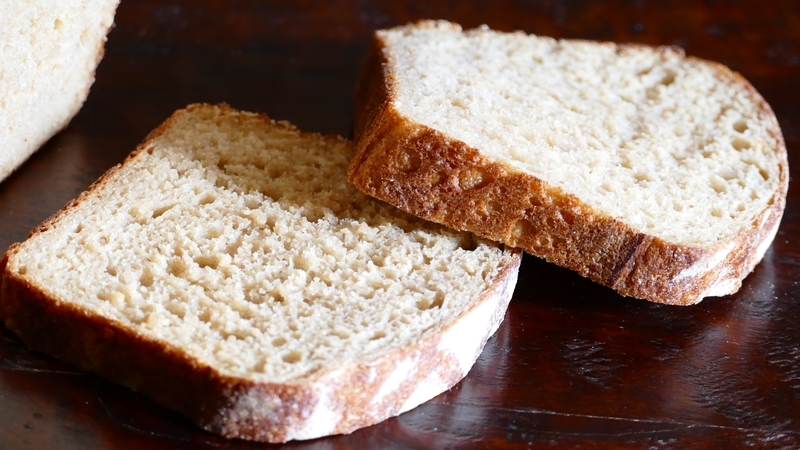 I also served my 100% whole wheat bread made with the new formula I developed for Mockmill. They are going to publish it in one of their future manuals. The formula is also available in the Skills Formula area of this site. 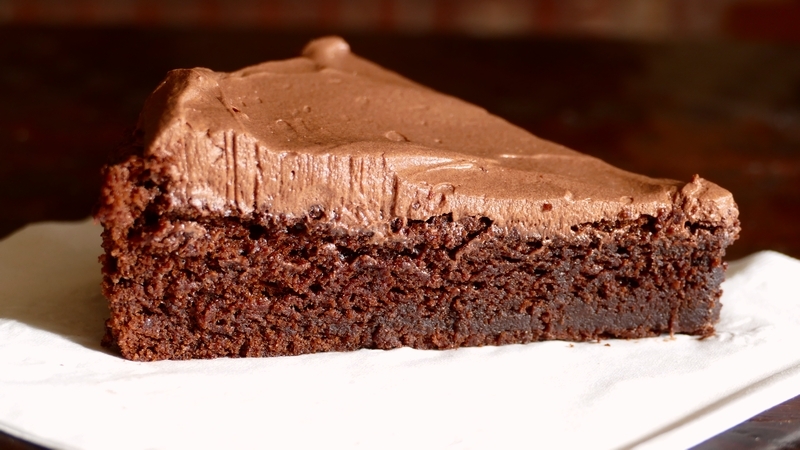 I also made my famous sourdough brownies for dessert but instead of melted chocolate for the topping I made my whipped cream chocolate frosting which only has whipped cream and melted chocolate as the main ingredients. Paul mentioned I would be receiving a package in the mail, which should have arrived before he did, but actually was delayed until long after his departure. He was going to help me unbox and set up the mill and show me how to use my own mill. But it didn’t happen that way due to the delay in the mail. The mill showed up about two weeks later and was I ever surprised because it was TWO mills! 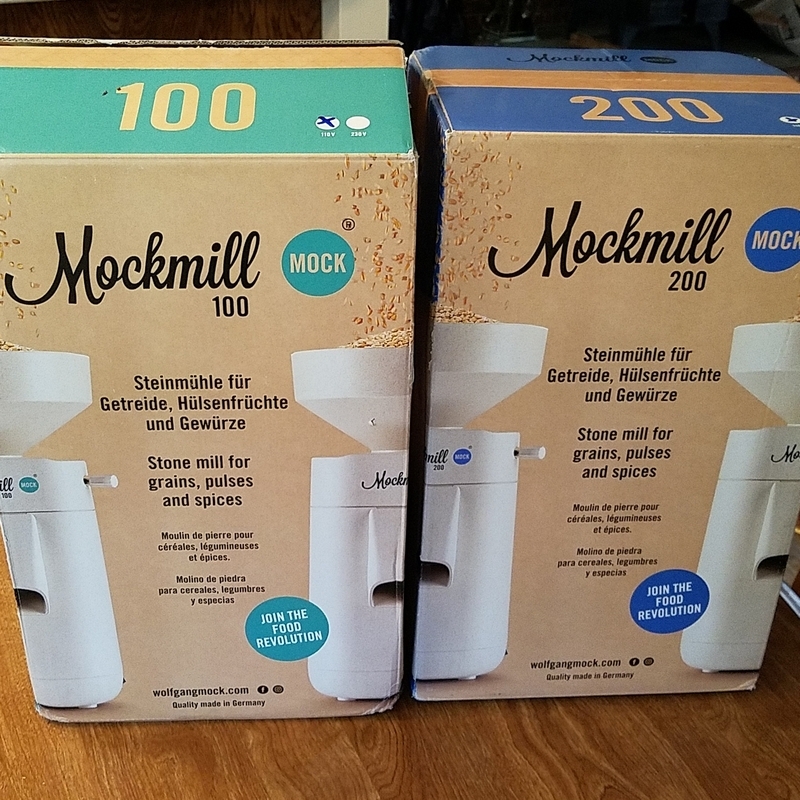 Find out more information about purchasing a Mockmill 100 or 200 here: Mockmill (Super Christmas gift for the baker in you life (or you!)) These mills can get delayed in shipping, so order early. As soon as I get a chance I will show you both of them milling side by side. They both mill from large cracked grain all the way to soft finely ground flour using large beans or corn all the way to seeds. Paul ground up some cornmeal and some fresh black pepper while he was here. I’ve been very busy with the launch of this new site, “The Baking Network.” We have a lot of bakers who have already joined even though it won’t officially launch until the middle of November. 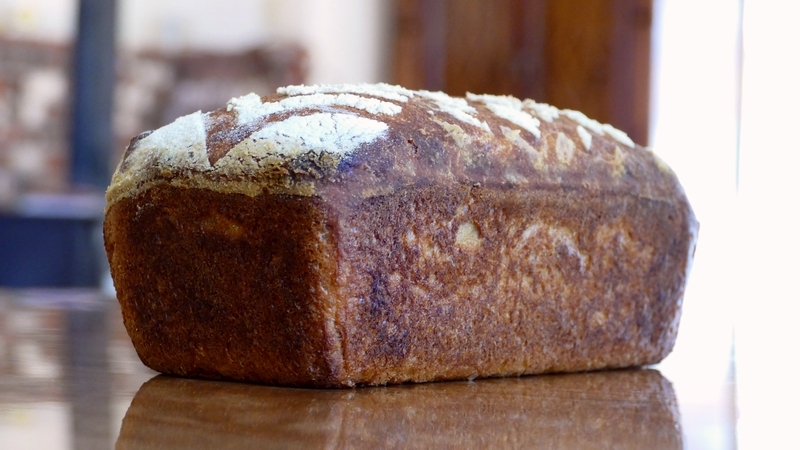 So come on and join us and help by adding photos, formulas and any other information you want to share as long as it’s baking related (any baking, not just sourdough). We also have a classifieds if you want to post some kitchen equipment for sale or wanted. For more information BEGIN HERE. I just wanted to let you know that any links to Mockmill are affilate links, as I am now a Mockmill affiliate and proud to be one. 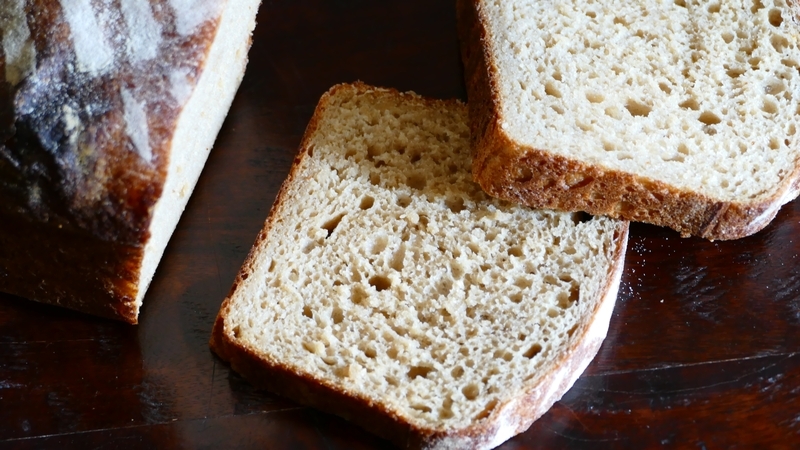 I love their new stand alone mills, I feel they are the best on the market for a home baker/miller and will enable you to bake up whole grain bread with a lighter crumb (due to how fine the flour can be ground). What do you think of Mockmill’s new mill(s)? Comment below.